It’s no secret that President Trump’s election in 2016 impacted the worlds of art and music. But for many creative individuals, responding to Trump’s arrival in the White House isn’t something they necessarily want arriving in their art. 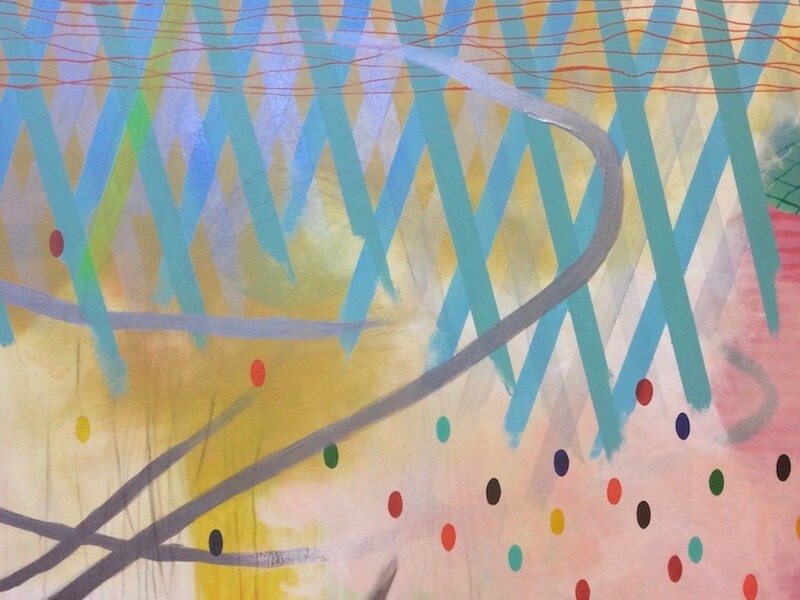 Fonda, a painter, visual artist and full-time, tenured professor at Sacramento City College, says she grappled with “that year” — 2016 — as she prepared new work for her latest exhibit, “Ongoing Concerns,” which debuts this weekend. “It's just it's really depressing, and I've been looking at how other artists have dealt with dark times, and I'm an optimistic person. But it's just a darker kind of optimism now,” Fonda said during an interview this week with CapRadio. A prominent Sacramento artist perhaps best known for her recent “Give a Fork” project, Fonda led the collection of more than 4,000 forks to create a public-art sculpture. She’s also the founder of the annual “Pink Week” exhibit and collaborative art show, the goal of which is partly to rethink how we engage the color. The artist reception for “Ongoing Concerns” is this Saturday, February 9, at artspace1616, 1616 Del Paso Boulevard, from 6 to 9 p.m.